Technology is transforming the World as we know it! Massive opportunity is out there right now, providing you work hard, relentlessly hone your skills and don’t forget to enjoy your journey, the future of work is so exciting! Doing what you love and getting paid for it is extremely rewarding and is the true definition of success. Many new technologies are certainly creating new jobs, different ways to do existing roles and for many a way to become independently wealthy. a person who is opposed to the introduction of new working methods, especially new machines -according to the Cambridge dictionary! You shouldn’t panic as there is a solution for every problem! You can still adapt and change to create the life you want to have, consider that a lot of the jobs that will be available haven’t even been created yet! If you are reading this article and are still worried about the future, then I suggest you read on! There is plenty to smile about. You may be in a bad place in your working life perhaps; you may not know much about AI, VR, MR, AI and other nascent technologies, or you may be a technology guru and thought-leader, no matter. You can work alongside robots, AI modules and within technology driven businesses. You can invest in technology companies, design technology products or in fact help people to withdraw from technology altogether and go “off the grid”. Rest assured there are masses of opportunities emerging for people who are willing to adapt; people who are not afraid of hard work and believe in unlimited possibilities will be the lucky few. Throughout this piece you must remember that we as humans have the control to shape all the technologies that we invent and in fact moving forwards should make the World a much more enjoyable place for many; as opposed to creating these ‘robot’ overlords’ that so many of the scaremongers like to lead us to believe. There are so many solutions that technology is in the process of fixing it is truly an exciting time to be alive! We have the capability to increase the food production by using AI within the supply chain, enabling more people to eat! We have apps that can help to give food to hungry people; we have the capabilities to be able to use such technologies as blockchain to give money to people who currently don’t even have the means to have bank accounts. We have the capability to study huge volumes of data, extracting massive insights, these insights will be used in healthcare, in food production, wine production and in many other areas to make the World a better place. The main challenge is not just the future of work, it is in fact one of corporate responsibility, what I am referring to is the necessity to continue to employ people. 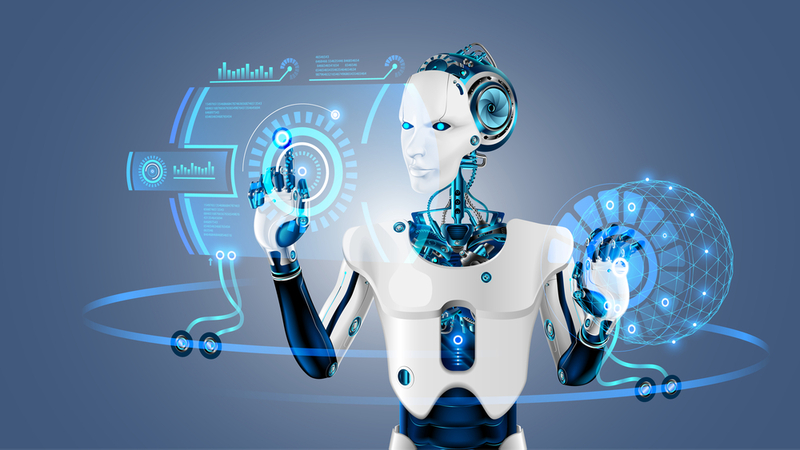 With the invention of AI and Robots businesses can now make a lot of money with very few staff members, naturally this is something that has a solution. The good news is that there are many trials of the minimum living wage, this will buy people time, time to upskill themselves so they can start a business or get another job! The minimum living wage will in my lifetime be implemented to help every person on the planet to have food, water, shelter and access to education and healthcare. Without employment, continuation of the wheel of consumerization will not happen! If you think about the Global money markets and economies which all float upon GDP; if we were all out of work the entire monetary ecosystem would implode. It would not be a wise move to allow technology to replace jobs without creating new ones and if necessary, supplementing incomes will be necessary until people upskill. Enabling them to start a business and create jobs or to obtain an education to enable them to get a new role or career. We have heard the doom and gloom, we have heard the pessimistic comments from many influential people about AI and how it is going to decimate the job market and worse! We have also heard of the industrial revolution and the way that we have managed to make products en mass by scaling those manufacturing plants using automation and strict processes and protocols; creating mass production; quality went way up and low prices made most things affordable to the masses. The good news is that we as humans are in control of the future of work and the way AI develops and corporations like IBM and others in the AI space are very careful as to how their artificial intelligence engines can be used and the direction that it is taken in the World. I for one was very worried about not being able to keep up and remain in work until I read a book called the second machine age. It is written by a couple of MIT professors and in fact is very up beat and encouraging for anyone who is worried about losing their job to a machine. Watch this short video about the future of work! Or (UN)Employment as Andrew McAfee calls it! “The Second Machine Age: Work, Progress, and Prosperity in a Time of Brilliant Technologies is a 2014 book by Erik Brynjolfsson and Andrew McAfee which is a continuation of their book Race Against the Machine. They argue that the Second Machine Age involves the automation of a lot of cognitive tasks that make humans and software-driven machines substitutes, rather than complements. They contrast this with what they call the “First Machine Age”, or Industrial Revolution, which helped make labor and machines complementary.